This indicator is part of the RPTrade Pro Line systems. 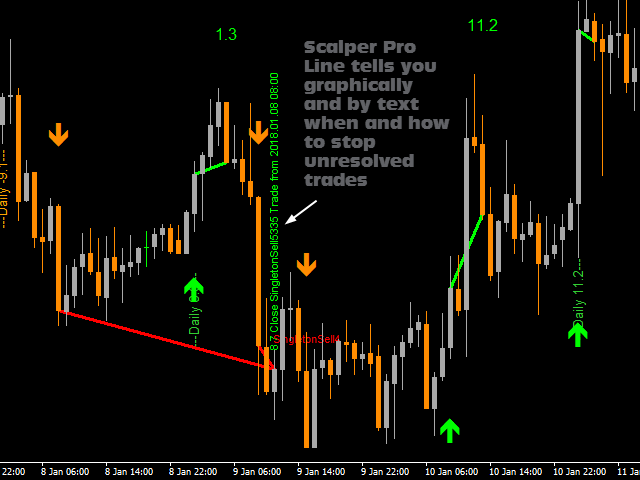 Scalper Pro Line is a short trend indicator using Price Action. A specific graph shows you the profit and eventual drawdown according to history data. 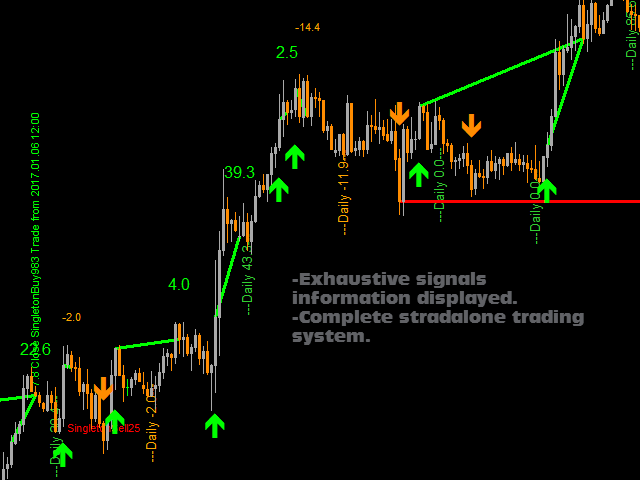 Scalper Pro Line is using an internal trend indicator combined with a price action system. At startup, the system is analyzing the 10000 first bars of history to find the best settings. Then these settings are applied to the whole history and used in real time; it's the warranty to get most reliable accuracy and stable trade signals. Then when price action tells to stop or trend is exhausting the indicator shows a trend line meaning that it's time to stop the trade. 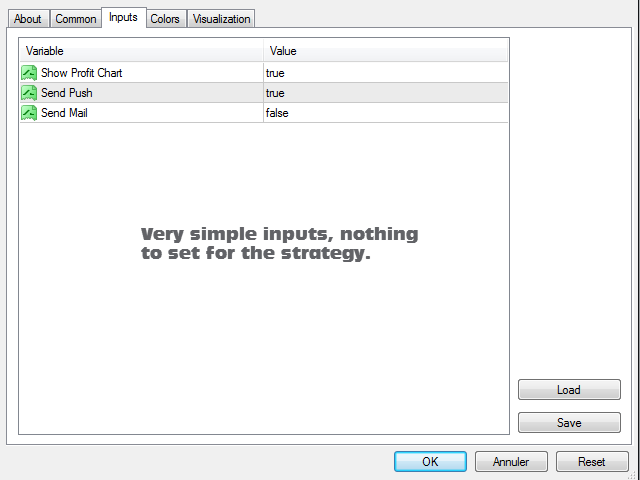 The result of the "virtual trade" is then displayed and added to the OnChart Graph array. Sometimes a trade can not be closed immediately, then the indicator will display a red signal called "Singleton". It means that this trade will have be to be closed later. When the indicator finds the possibility to close a Singleton it displays a vertical special message with the description of the trade to close; moreover, a trend line shows where is the trade to close. Several Singletons can occur before being closed, they are all managed by the indicator. The Singleton percentage is typically lower than 5% and mostly lower than 1%. It also allows to choose the symbol and or TimeFrame showing the fewer Singletons. With any instrument like FX pairs, indexes, metals, futures or any other. 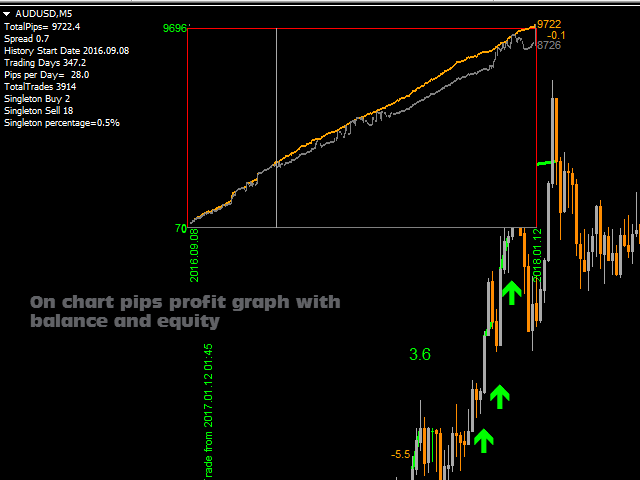 On Chart profit pips graph showing balance and equity for the whole history data. It's easy to see if the strategy is consistent with the selected instrument. And simply follow the arrows and trend lines indications. SafeMax: will focus on singletons and try to reduce them to the minimum quantity. ProfitMax: will maximize pips quantity letting singletons grow a bit. MaxMax: Not more singletons but less trades and more pips taken. 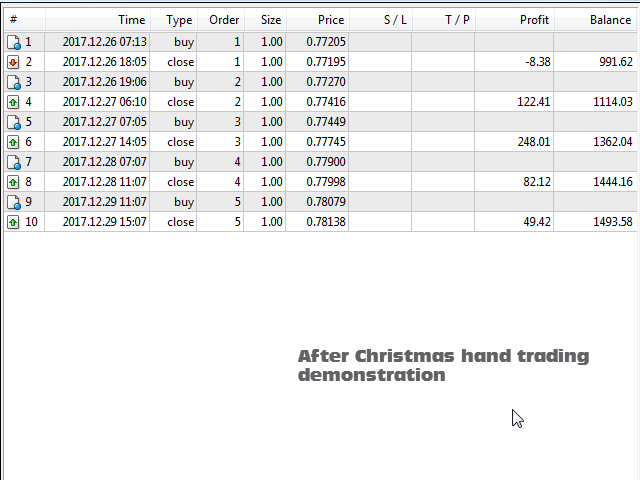 Don't be in a hurry, the test is quite slow as Scalper Pro Line makes complicated calculations. Anyway you won't have to wait for long to see that the strategy is really profitable. One of the best indicator i've ever used. I've been looking for something like this for years. 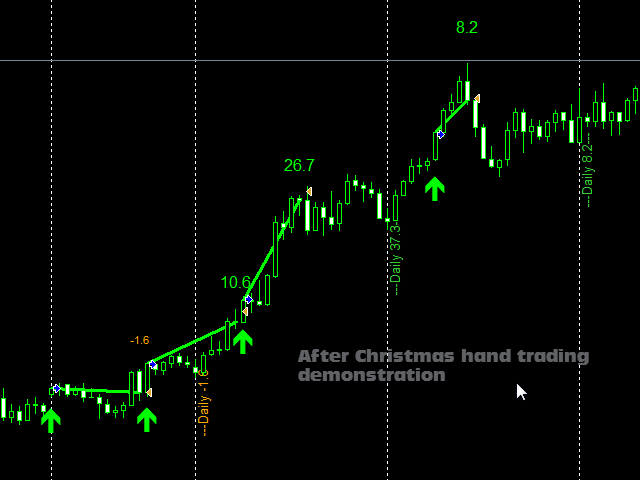 Simple to use, excellent support from Remi and really must to have indicator. Great work, I highly recommended it! Absolutely useless indicator. Thank god I just purchased it for 1 month. Nearly every order gets into big loss before it gets stopped out at break even. It's too good. I really hope that the Autor stop to sell it. I do not want to give a review, but I give this review unwillingly, only from the respect to a masterpiece. I hope Remi changes the Price with additional 1 or 2 '0(s)' to the right of the Price number very soon, or stop to sell it. Hello folks, in my opinion I can highly recommend this indicator as it is different from other indis here (no repaints, profit chart, trade history info…). While it uses innovative history pattern chart research to prepare its upcoming signal it can be highly proficient if you use proper timeframe/pair combined with wise money management… Remi is a highly skilled expert programmer with great experience. He is always good for hints and tips so do not hesitate to contact him for advise regarding his indicator. Good job on this one, Remi! Best regards. SafeMax: Try to close the trades ASAP in order to reduce risk exposition. ProfitMax: Let the trades run a bit longer to get more profits. MaxMax: Less trades are opened but they reward more.